Perhaps no individual has had more of an effect on twentieth-century American Christianity than the renowned evangelist Billy Graham, whose work has been widely influential in arenas from the rising evangelical movement to the White House. 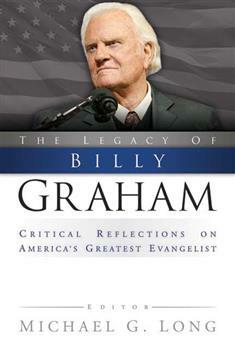 Although Graham's influence on evangelicalism has long been recognized, Michael G. Long's The Legacy of Billy Graham is the first book to examine his impact on mainline Christianity and on American civil religion. With noted contributors including John B. Cobb Jr., Harvey Cox, Gary Dorrien, Karen Lebacqz, Thomas G. Long, Mark Lewis Taylor, and J. Philip Wogaman, this critical but generally appreciative volume assesses Graham's career from the perspectives of preaching and theology, social issues, and his engagement with his contemporaries and then concludes with two retrospectives on his legacy.